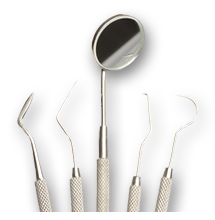 Procedures are typically performed only using local anesthesia. Unless a relaxing agent is used before a procedure, such as Valium, there are usually no restrictions after the procedure concerning driving or returning to work. NOTE: Alcohol intake is not advised while taking any of these medications. Should you experience discomfort that cannot be controlled with the above listed medications, or should swelling develop, please contact us immediately. The office telephone is answered day and night. If you need to call after hours, please have your pharmacy number available.